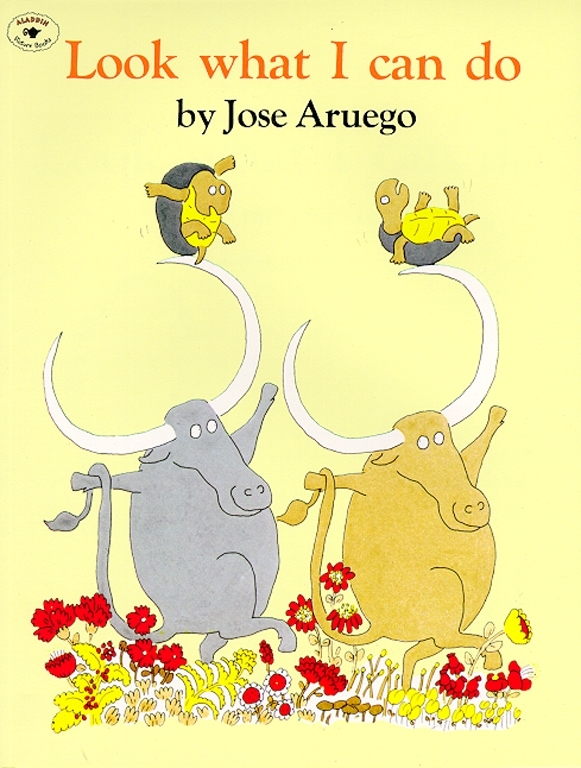 Things get out of hand when two buffalo try to outdo each other in this almost-wordless picture book from Jose Arguego. “Look what I can do!” “I can do it too!” And so begins a lively contest between two water buffalo that ends up being a bigger adventure than either of them had imagined! This simple, nearly wordless picture book is one that the very youngest children will be eager to “read” all by themselves.